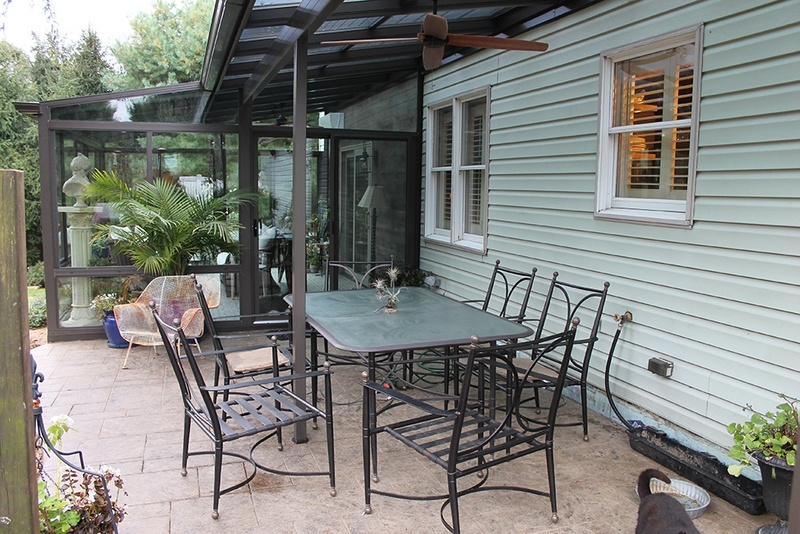 The wonderful thing about having a patio is that you can enjoy the outdoors and your backyard whenever you like. But sometimes, bad weather and other hazards of the environment get in the way. 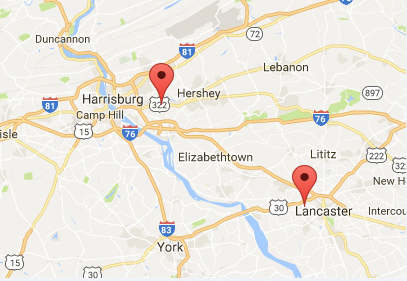 To get back to fully enjoying your patio on your terms, contact Four Seasons Sunrooms for high-quality patio room enclosures in Harrisburg, Lancaster and throughout Central PA.
We are a premier patio enclosure supplier because of our commitment to affordable, quality products that look great and feel like an extension of your home! 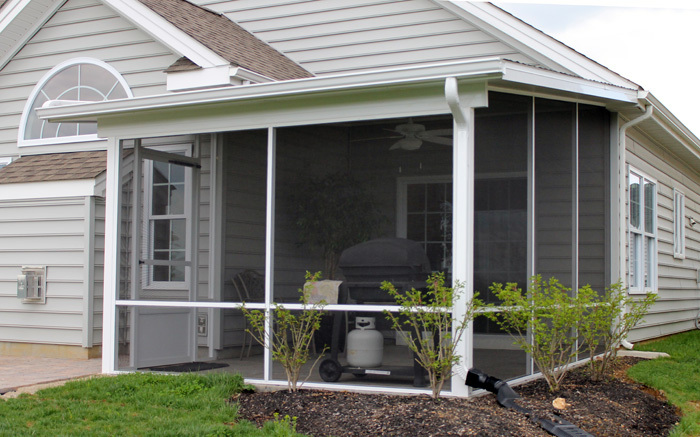 Our porch and patio covers add a touch of elegance to the exterior of your home while protecting you from the elements. No longer will blazing summer heat or a spring shower force you back indoors. 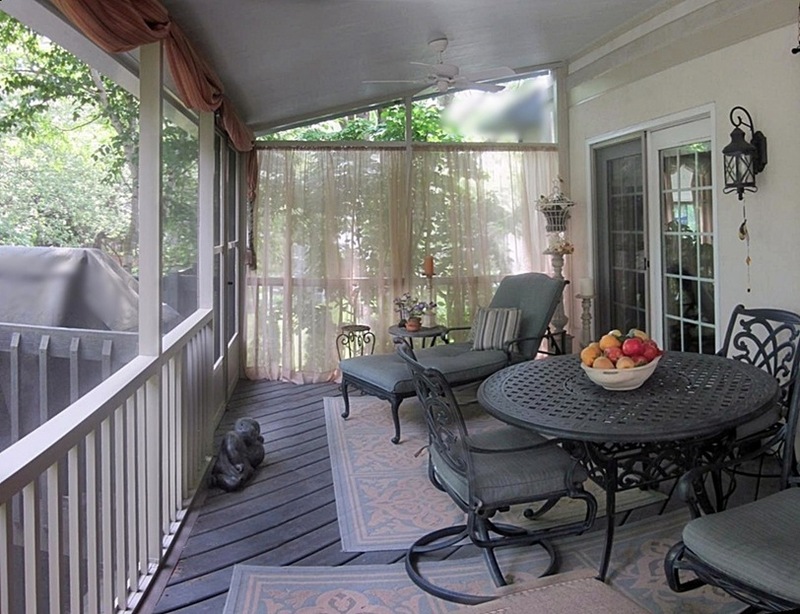 You can relax under the safety of your Four Seasons Sunrooms patio cover and enjoy the outdoors in comfort and style. 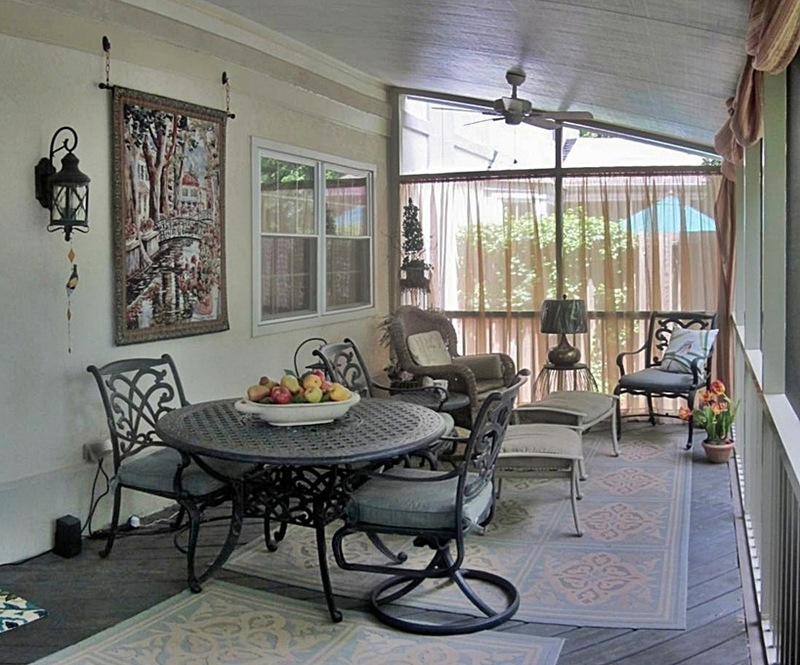 These patio covers are beautiful and practical. They are available in Studio or Cathedral designs with White, Bronze or Sandtone finishes that are low-maintenance and won’t peel or crack. 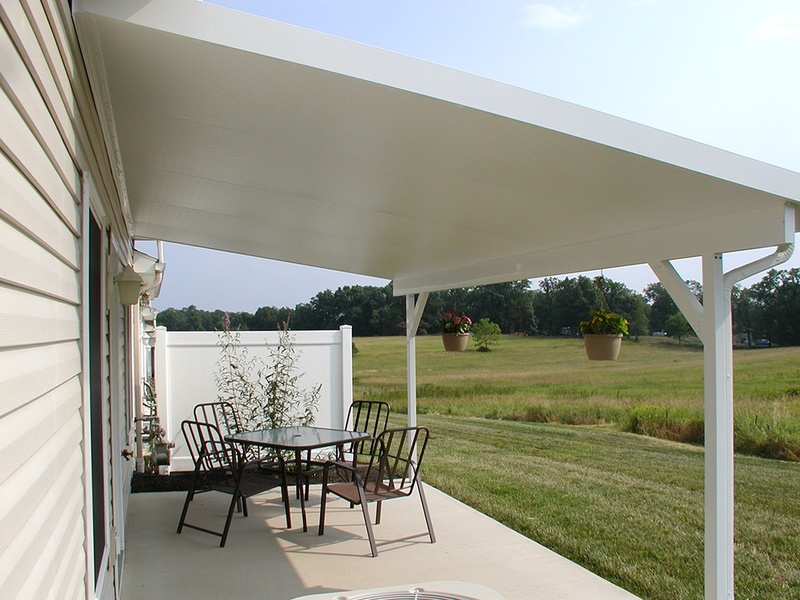 Their structure consists of strong, durable extruded aluminum that is rot and insect resistant. 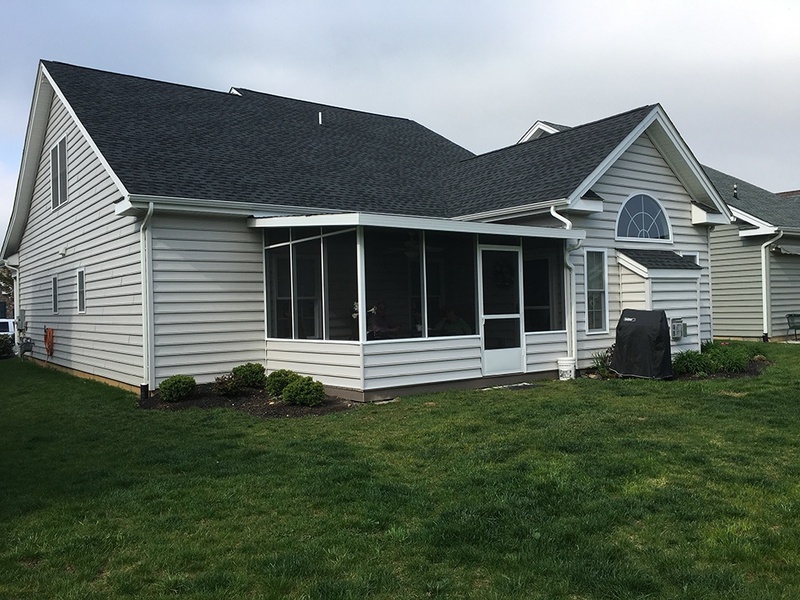 We are so confident in the durability of these structures that they come with a lifetime-limited warranty for your peace of mind. 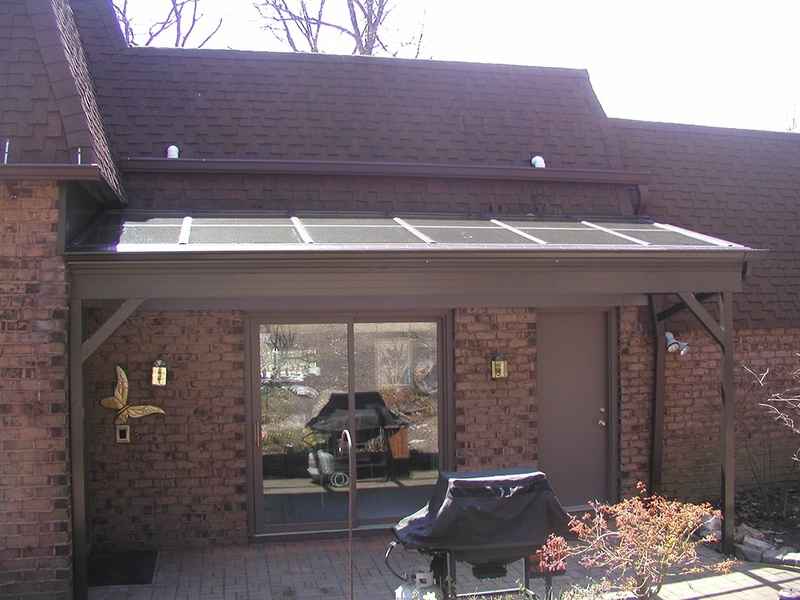 Custom options for your patio cover include a skylight to allow more natural light in while still protecting you from the heat of the sun, an OSB/shingled roof and a roof fan beam for a ceiling fan. 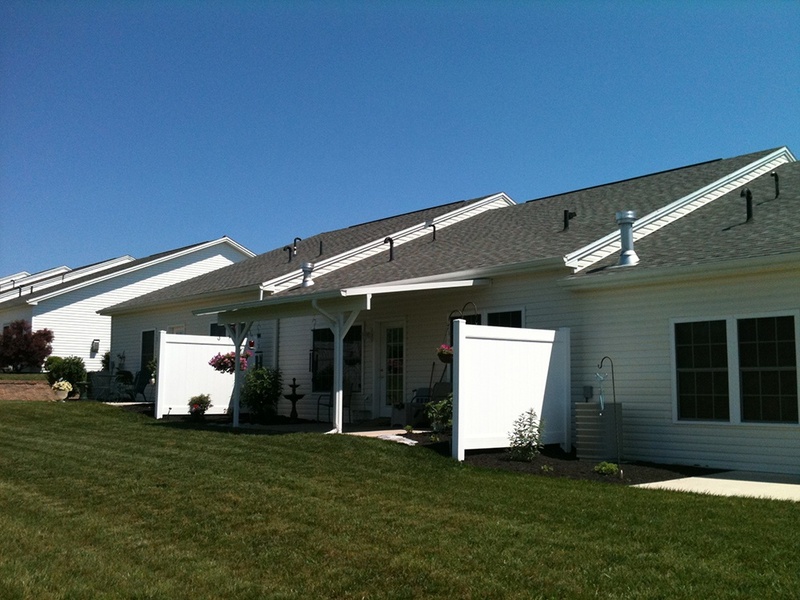 We also offer Carports to protect your car, boat, RV or any other vehicle from the elements. 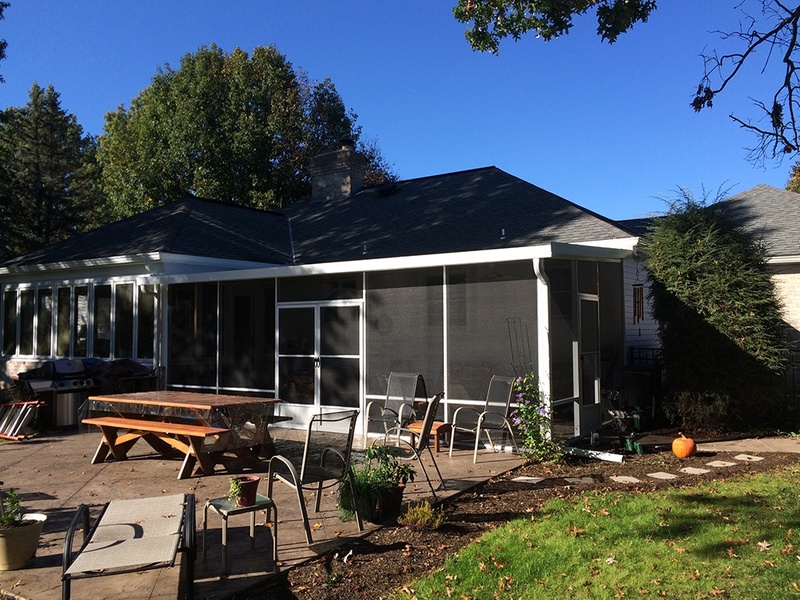 Patio covers are ideal for protecting you from what is above, but for complete protection for your outdoor deck or patio, you’ll love our reliable screen enclosure arrangements. These screen enclosures are made from the same tough, reliable, rot and insect-resistant extruded aluminum structure. 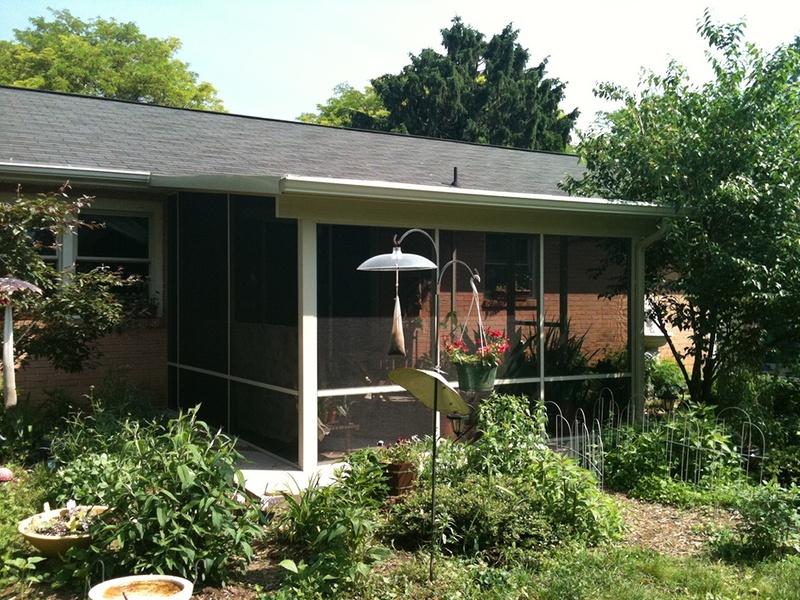 They also include added fiberglass insect screens to protect from pests that can ruin your afternoon out on the patio. 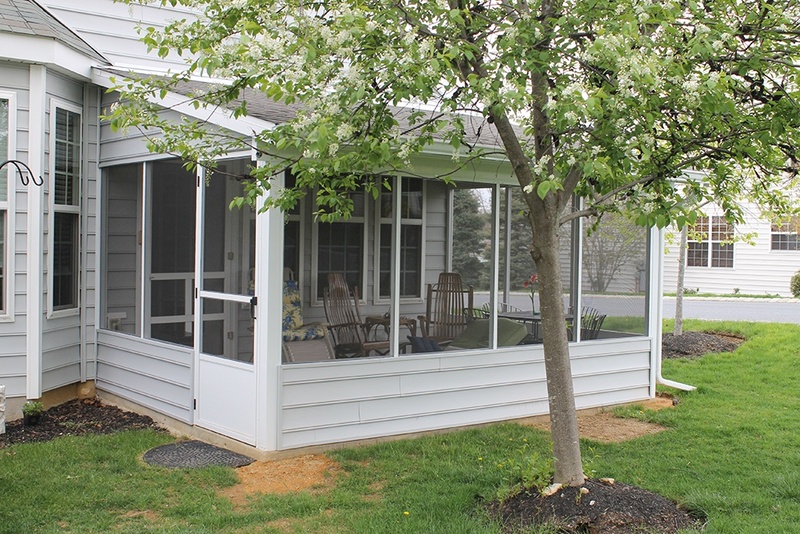 With a screen enclosures, you can completely enjoy your outdoor space without worrying about ultraviolet radiation, rain, glare, excessive heat or pestering insects. 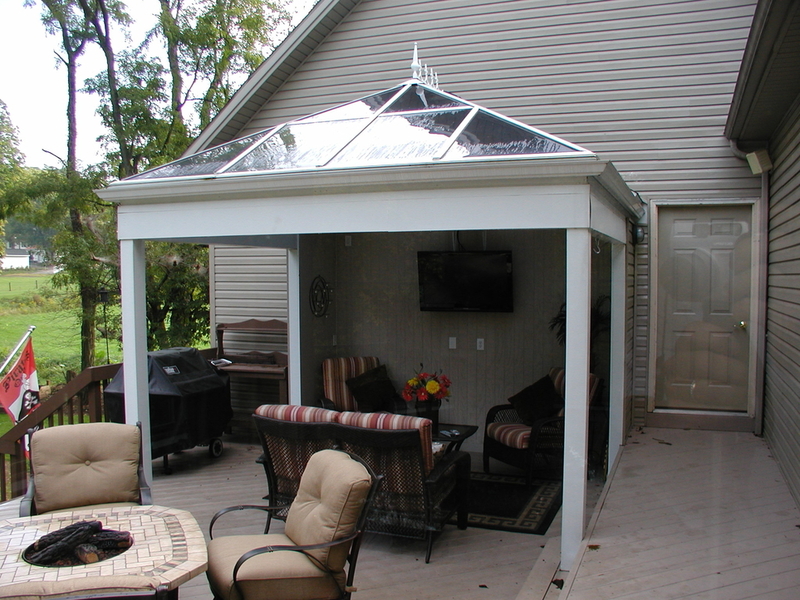 If your patio is unused because insects and heat are driving you crazy, we have your solution! 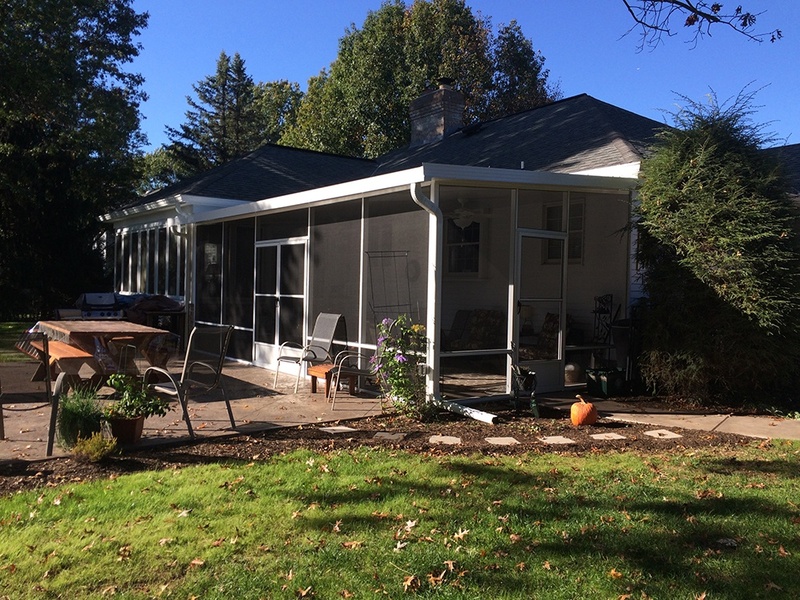 Give Four Seasons Sunrooms a call at 717-564-2244 or fill out our form online for a completely free, no obligation consultation on your new patio cover or complete screen enclosure.